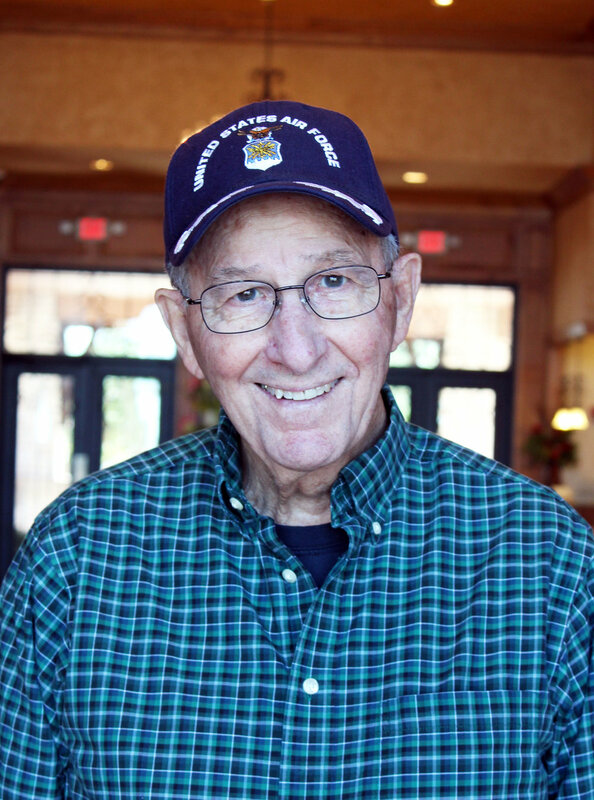 In 1957, upon graduation from Kansas State University, Fairview resident, Harvey McCarter was commissioned through the Air Force Reserve Officer Training Corps (ROTC). He entered pilot training at Moore Air Force Base in Mission, Texas. McCarter said, “I always wanted to fly and the ROTC allowed me to do that. At that time, the Air Force was training a lot of pilots. When I completed training, they were not training as many.” He was 21-years-old when he was commissioned as an officer as a 2nd Lieutenant. McCarter served for 37 years as both active guard and reserve. When he retired, he was a major general. He said he chose this length of time to serve because, “I enjoyed the work. I was flying most of the time.” From 1960 – 67 he flew the T-33, F-86L, F-100C and F-100F when he served with the Kansas and Iowa Air National Guard units. He was also a commercial pilot with Trans World Airlines (TWA) and KLM. Over the years he had many responsibilities in the military. He was a pilot, squadron operations officer, director of training for wing (two squadrons), wing vice commander and others. He served in the pentagon twice: From 1982 – 83 he was the planning and programming officer for the Western Hemisphere Division. In 1987, he was the mobilization assistant to the vice commander in chief. He received his first star while serving as vice commander, 14th Air Force, Dobbins Air Force Base, GA and his second star during his second trip to the pentagon. He retired from the military and from flying commercially in 1993. He was then hired as a manager by Flight Safety International which is an airplane training organization. He always knew he wanted to be a pilot. He remembers, as a child, sitting in a cardboard mock-cockpit. He said being in the Air Force gave him all the skills to do what he loves to do. He absolutely recommends a career in the military.